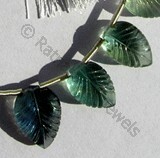 Are you looking for a beautiful shape for Fluorite Gemstone? 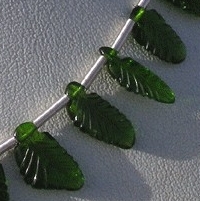 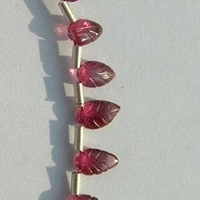 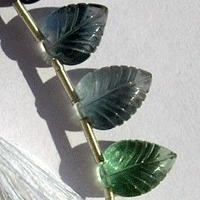 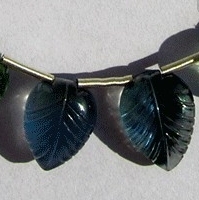 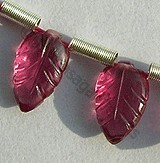 Take a look at our Fluorite Carved Leaf Beads. 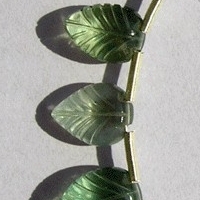 The beautiful shape of leaf gives a natural and refreshing look to Fluorite Gemstone. 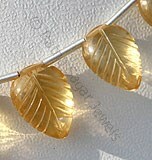 Adorn it, and get benefited by its healing powers. 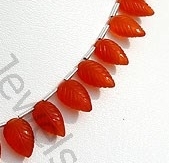 It will help you to come out of illness like blood pressure, dizziness, cholesterol, cough, pain of joints, respiratory disease etc. 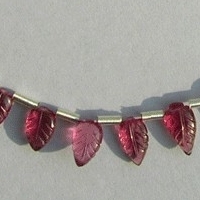 Ratna Sagar offers the gemstone bead at a wholesale price. 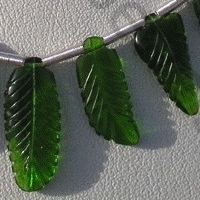 Browse through our collection that includes Chrome Diopside, Citrine Gemstone, Sleeping Beauty Turquoise, Citrine Gemstone, Pink Tourmaline, Rose Quartz, Champagne Citrine, Labradorite Gemstone, Amethyst Gemstone, Black Tourmaline etc. 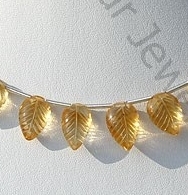 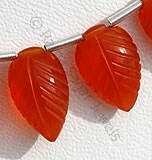 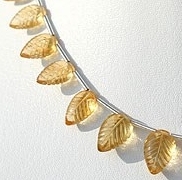 Visit our online store to take a look at complete collection of carved leaf beads. 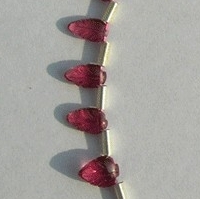 Rhodolite Garnet Gemstone is a variety of the natural mineral pyrope, possess property of transparent with vitreous luster and are available in rose-pink color with carved cut, Leaf Shape. 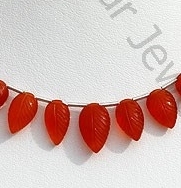 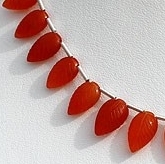 Carnelian Gemstone is a variety of natural chalcedony, which is treated to enhance color, possess property of semi-transparent with vitreous luster and are available in red-orange color with carved cut, Leaf Shape. 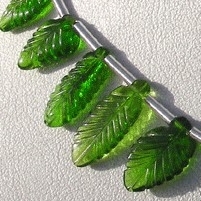 Fluorite Gemstone Beads is variety of halide mineral, possess property of transparent, with vitreous luster and are available in purple blue-green color with artistic carved cut, Leaf Shape. 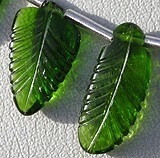 Chrome diopside Gemstone is a variety of natural monoclinic pyroxene mineral, possess property of transparent with vitreous luster and are available in rich-green color with carved cut, Leaf Shape. 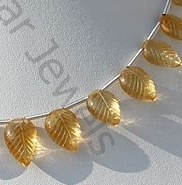 Citrine Natural Gemstone is variety of orange-yellow quartz, possess property of transparent with vitreous luster and are available in light golden-yellow color with carved cut, Leaf Shape.